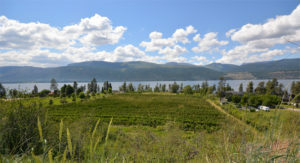 How hard is it to find waterfront acreage for sale in Kelowna? Waterfront property for sale in Kelowna, BC can be compared to finding a needle in a haystack, so one can only imagine that finding a large acreage on the lake for sale in Kelowna is not an easy feat. Working with a true Kelowna waterfront real estate specialist is the first key in tracking down the lakefront property of your dreams in a perennially hot real estate market like Kelowna’s. 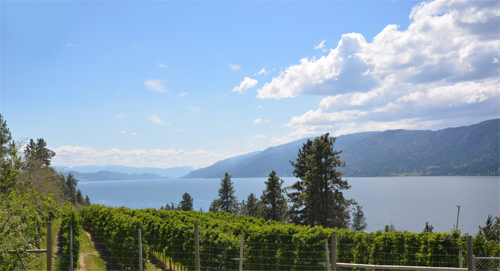 I have compiled a few other tips for home buyers to consider when beginning their search for estate living on the shores of Lake Okanagan. The first thing to do is to choose the right representation. Ask friends, neighbours and family who helped them with their last real estate sale or purchase and what they enjoyed/disliked about the experience. Another great idea if you don’t know anyone in the Kelowna area is to pay attention to the for sale signs that are in the neighbourhood you want to relocate to. Make a list and take the time to do some interviews. The first thing to tip you off is how easy it is for you to reach the name of the agent advertised on the sign. Reaching your agent is extremely important because responsiveness is key when you find the waterfront acreage of your dreams. 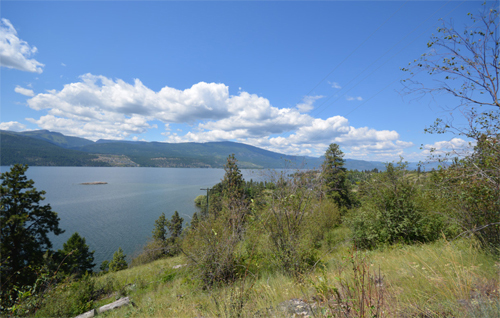 If you’re buying waterfront property in the area you will also want to know not only how many lakefront transactions the agent has handled, but also what their knowledge is of owning and maintaining waterfront property in Kelowna. You’ll want to ask potential real estate agents about taxes, building restrictions, environmental concerns and more along with basic property questions. Clearing this step out of the way before you start planning for where your new boat will go is half the battle when searching for lakeside acreage. How Much is Enough Waterfront? We’ve discussed previously here how important it is to narrow down your ideal Kelowna neighbourhood to make your home search easier, but you need a slightly different and more flexible approach when you want to live on the lake in a grand fashion. Acreage on the lakefront is generally found a little outside of the hustle and bustle of downtown. For those who are craving the privacy and space this isn’t generally an issue, but if you’re one of the rare few who wants to have lots of space in the heart of town the earlier we start looking the better. There are a few storied streets close to hustle and bustle of downtown Kelowna, where we will see lakefront homes that are situated on lots close to 1 acre in size. If you want more size, space and privacy however, we would likely start searching further out in the communities of Lake Country, Carrs Landing, McKinley Landing and further along Lakeshore Drive or across the lake in West Kelowna. These lakeside communities will generally have properties that have been developed and in rare cases you might even find a hidden gem that is still bare land. Whatever you’re looking for you will definitely find more space in the aforementioned areas of the Okanagan. What will you use your Waterfront Acreage for? This is a question you likely know the answer to and have considered extensively, but is also something you should share with your waterfront real estate agent immediately so that they can start looking for the right properties. The majority of Kelowna waterfront estates are kept as private family estates and this is reflected in many large scale lakefront Kelowna homes when viewing their size, impeccable landscaping and security measures. If you are looking for waterfront properties where you can also have a hobby farm or perhaps you have the dream of building a waterfront winery then sharing this with your agent in advance will allow us to narrow our search even further. If you don’t want a farm but are still looking for a solid waterfront investment, then looking for extra large parcels that are potentially subdividable might be at the top of your list. Sparkling Hills Resort & Spa is a remarkable hotel & Wellness Centre with European inspired design elegance, offering whole body health & wellness. located between the world-renowned downhill ski resort of Big White (Kelowna) and Silver Star (Vernon). If you’re interested in lakeshore development property for sale in Kelowna and surrounding area please give me a call to schedule a viewing of this one of a kind estate now available for sale in Carrs Landing. It won’t last long, so don’t delay and contact me directly today! Looking to buy or sell your home? Contact Keith Watts today!